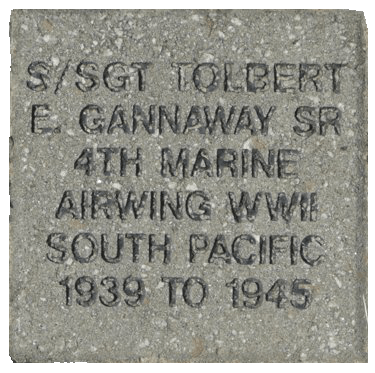 Within the Walk of Heroes, we have created a section of pavers that honor military units, groups, associations and any other entity wishing to honor Veterans. Enter 6 lines of up to 16 characters each to be engraved on your brick. This WALK OF HEROES/Veterans Memorial is a Statewide and Nationwide Memorial and will contain over 80,000 PAVERS within its 1,200 sq ft Memorial.